The following crimes occurred on or near campus and were reported to The Triangle by the Drexel University Department of Public Safety between Nov. 9 and Nov. 24. All information included in this report is taken from law enforcement or Division of Public Safety incident reports. A Drexel student reported that they were sexually assaulted by a female Drexel student that was known to them. A Drexel affiliate reported that a male coworker of theirs forced himself against them and began touching them inappropriately. Drexel Police arrested a Non-Drexel affiliate after the officer stopped the male for motor vehicle violations and the male assaulted the officer in the course of the investigation. A Drexel student reported that they were assaulted by their boyfriend who is also a Drexel student. A Drexel affiliate reported that unknown person(s) took their book bag containing clothes and books that they left unattended on the sidewalk. Aug. 13 to Aug. 16, 100 North 33rd St.
A Drexel student reported that unknown person(s) took their bicycle that was left unlocked in a classroom. A Non-Drexel affiliate reported that unknown person(s) took their bicycle that was secured to a bike pole with a chain lock. Aug. 16, 7 to 9 p.m. 200 North 34th St.
A Drexel student reported that unknown person(s) took a flagpole and flag from the front porch of their fraternity house. A Drexel student reported that unknown person(s) took their cell phone that was left unattended in a common area of the recreation center. A Drexel student reported that unknown person(s) took their bicycle that was locked to a bike post with a U lock. A Drexel student reported that unknown person(s) took their wallet containing cash and credit cards from their backpack. A Drexel student reported that unknown person(s) took their bike that was secured to a bike rack with a cable lock. A Drexel staff member reported that unknown person(s) took a painting from an office that was under renovation. A Drexel student reported that unknown person(s) entered their locked suite with no sign of force and took their microwave from the counter. A Drexel student reported that unknown person(s) entered a building storage area with no sign of force and took their couch and keyboard. Aug. 30 to Sept. 18, 100 North 32nd St.
A Drexel student reported that unknown person(s) entered their apartment in unknown manner and took personal items. A Non-Drexel affiliate reported that unknown person(s) entered the trunk of their vehicle with no sign of force and took a Macbook Pro laptop computer. A Drexel affiliate reported that unknown person(s) entered their automobile by breaking a front window and removed their airbag from the steering wheel. A Non-Drexel affiliate reported that unknown person(s) took their vehicle — a 2008 Chevrolet Impala — from the highway. A Non-Drexel affiliate reported that unknown person(s) took their trashcan that was left at the curb line of their residence. A Drexel student reported that unknown person(s) took the seat from their bicycle while it was secured to a bike rack. Sept. 7, 4:30 to 6:30 p.m. 100 North 34th St.
A Drexel student reported that unknown person(s) took their bike that was secured to a bike rack with a chain lock outside of Towers Hall. A Non-Drexel affiliate reported that unknown person(s) took their backpack containing tools that was left unattended on a non-secure loading dock. A Drexel student reported that unknown person(s) took their cell phone that was left in a secured area of the building. A Drexel student reported that unknown person(s) entered their unlocked room and took their IPhone that was left in view. Sept. 13 to Sept. 18, 200 North 34th St.
A Drexel student reported that unknown person(s) took a fraternity banner and Drexel flag from outside of the residence. A Drexel student reported that unknown person(s) took their bicycle that was secured to a bike rack with a cable lock. Sept. 14, 8:30 a.m. to 2:30 p.m. South 32nd St.
A Drexel employee reported that unknown person(s) entered their office with no sign of force and took their purse that was left unattended. A Drexel student reported that they was tricked into sending money to an unknown person that they met through a dating site. A Drexel student reported that unknown person(s) took the tires from their bicycle that was secured to the rear of his property with a chain lock. A Drexel student reported that unknown person(s) took their wallet and cell phone that was left unattended in an open locker. Aug. 15 to Aug. 18, 300 North 31st St.
A Drexel student reported that the rear windshield to their automobile was broken in an unknown manner. A Drexel student reported that the passenger side front window to their automobile was broken in an unknown manner. A Drexel student reported that unknown person(s) damaged the barbecue grill that was on their front porch. 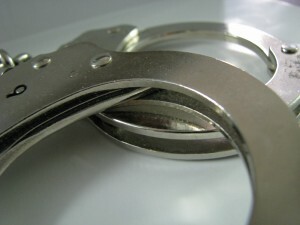 Drexel police arrested a Non-Drexel affiliate for Disorderly Conduct after the subject was acting in an inappropriate manner and refused to comply with the officer’s order to disperse. A Drexel student reported that unknown person(s) came up behind them, punched them in the face several times, knocked them to the ground and fled with their purse and cell phone. Victim suffered face and leg injuries. Sept. 14, 6:30 a.m. to 7 p.m. 300 North 34th St.
A Drexel affiliate reported that unknown person(s) entered their residence by forcing a rear window and took a camera that was left in view. A Non-Drexel affiliate reported that unknown person(s) forced the rear window to their residence. Nothing was taken. During the period covered in this report, there were twelve (16) Policy Violations for Alcohol and (1) Policy Violation for Drugs. The reports were sent to the Office of Student Conduct for review.